Students from Adam Mickiewicz University in Poznań (AMU) are the Europe Winners of the 2017 Google Online Marketing Challenge (GOMC). AMU student team also got to the Final Europe Top 5, and another one to the Semi-Final Top 15. The AMU teams were supervised by dr. Wojciech Czart. 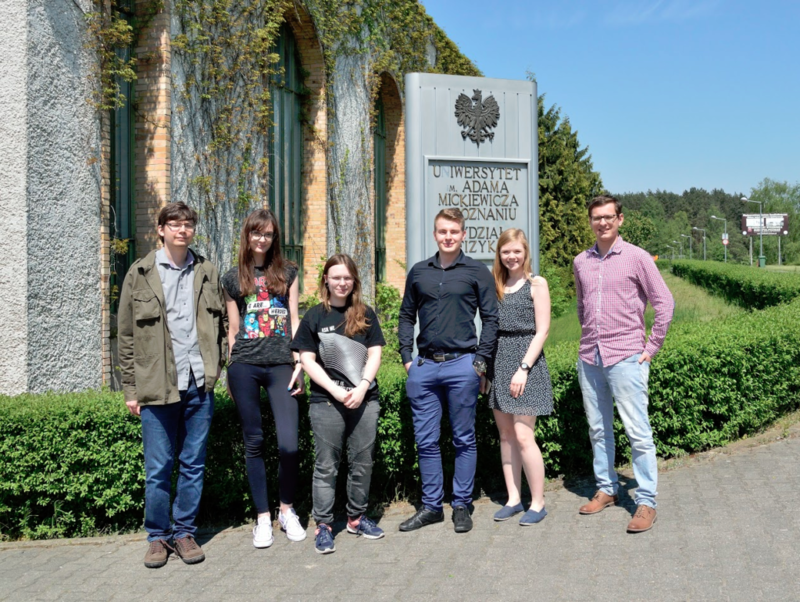 In the Europe Top 15 are also three teams from the Warsaw School of Economics (SGH). The SGH teams were supervised by dr. Tymoteusz Doligalski. The Europe Top 15 teams: team from SGH (CID: 406-334-0915), captain- Michał Kołnierzak; team from SGH (CID: 584-833-2648), captain – Bartłomiej Niespodziany; AMU team (CID: 855-592-9933), captain – Paweł Prot and SGH team (CID: 210-066-2460), captain – Sylwia Tymińska. This is the 9th straight success of dr. Wojciech Czart’s students in the GOMC. Since 2009, students participating in the Google’s Challenge as a part of dr. Czart’s internet marketing course, apart from the 2017 Europe Winner, 6 times reached the GOMC Europe Final Top 5 and 10 times the Semi-Final, since 2011 defined as Europe Top 15. This year’s success was particularly outstanding and exceptional due to significant increase in the Challenge’s demands. Till 2016, students’ GOMC campaigns were evaluated according to performance of the text ads alone. Instead this year’s, GOMC 2017 campaigns were evaluated based on performance of almost all functions of Google AdWords platform. GOMC 2017 teams completed over effectively using: responsive and enhanced text ads, image ads, video ads, shopping ads, lightbox ads, Gmail ads, and app install/engagement ads ran on the Search Network, Display Network, Gmail or YouTube. Participants could harness their graphical and film making talents for image and video creatives as well as programming skills – developing mobile apps. The organized by Google Challenge is one of the biggest, most popular and most prestigious international competitions organized for the academic community. It is not just a class simulation. The 3-week long GOMC online campaigns are about the real market, real business, real customers, real money. The participants competed not only with their peers from all over the world but, what is crucial, with real money, for a real client they confronted professional marketing teams of companies and organizations competing on the real market. Dr. Wojciech teaches internet marketing and online technologies for business and education (self/team and community), individual work and collaboration at Poznań University of Economics and Business, University of Technology, AMU. He is a member of the Google’s Global Academic Panel (Academic Professor HOA) and the Collegiate ECHO Marketing Challenge jury of the Marketing EDGE (Educate, Develop, Grow, and Employ) foundation. As a Google Digital Garage Official Trainer, he co-organised Google’s “Digital Garage” Workshops, supported by AMU Careers and AMU Promotion and Marketing Services. He gives lectures and workshops at universities across Europe. It took months of studies to practically well develop the GOMC 3-week long online campaign. Participation in the GOMC was one of class projects of dr. Czart’s two-semester internet marketing course given at the Faculty of Physics AMU Poznań offered in English to the AMU-PIE exchange students (Winter, Spring) and in Polish to Computer Technologies (Bachelor’s degree) and Internet of Things Applications (Master’s degree), a course of study ran jointly by AMU and Poznań University of Economics and Business. Students interested in internet marketing and online technologies for communication regardless of their major can attend dr. Czart’s classes. Enrolled in the dr. Wojciech’s course students gain Google Digital Workshop certificate as well pass necessary exams to become an AdWords Certified individuals in the Google Partners platform. 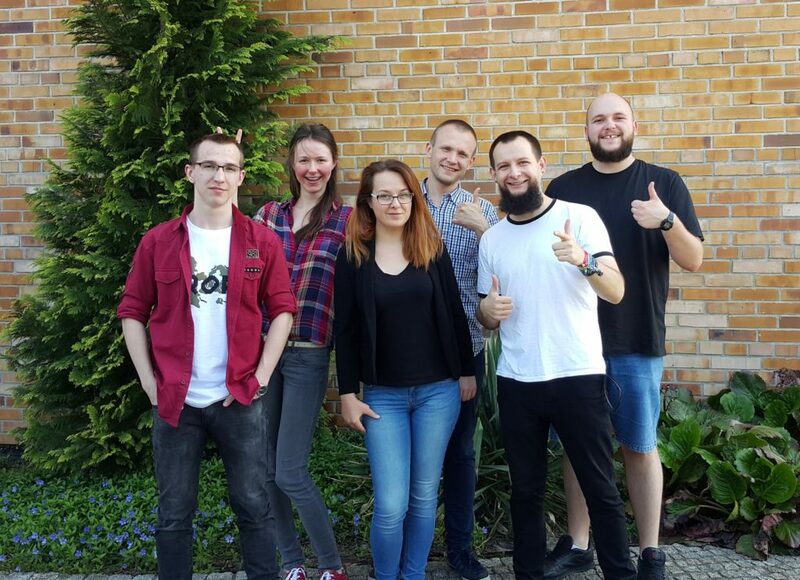 The Europe Winners team (CID 997-915-7178) members: Michał Paszyn (captain), Marek Bulinski (vice), Damian Koniuszy, Kamila Malanowicz, Kamil Poturalski, Aneta Disterheft; students developed and ran the campaign for solve24.pl online store owned by SOLVE Electronics, based in Tychy (Poland), a distributor of electronic equipment, mainly car cameras, sports and bicycle lighting. Winning the title of “AdWords Business Finalist”, The Top 5 team (CID 229-223-9631) members were: Dawid Śliwiński (captain), Mateusz Halicki (vice), Iwona Piastanowicz, Anna Zadroga, Anna Topczewska, Tomasz Sikorski; students developed and ran the campaign for HF Distribution Center hfcd.pl online store, which offers products from six main categories: Occupational Health and Safety, Pneumatics, Welding, Power Tools, Tools and Paints. 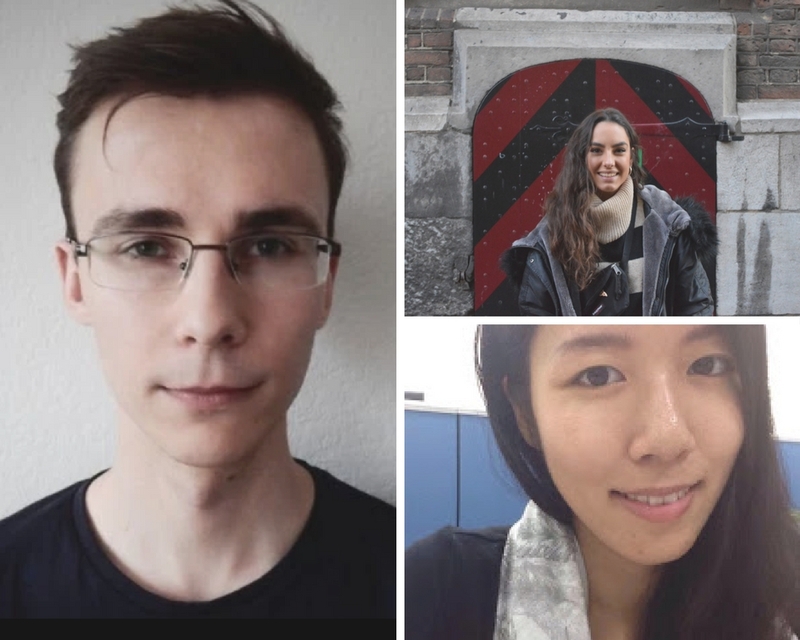 Winning the title of “AdWords Business Semi-Finalist”, The Top 15, Exchange students class team members (CID 855-592-9933): Paweł Prot (captain AMU), Cherie Kuo (National Taipei University Taiwan), Clara Alvarez Guillen (University of Valladolid Spain); students developed and ran the campaign for the Congo Bongo – family-run hotel business located in Manzanillo, Limón, Costa Rica (Congo-Bongo.com). The company provides eco-lodges to tourists, allowing them to experience holidays in harmony with nature. Dr. Wojciech Czart has introduced one of the first in the world, academic internet marketing (IM) course. Thanks to his engagement and innovative ubiquitous teaching method adaptation, his students have an opportunity to reach relatively quickly professional level of IM proficiency. Apart from GOMC, the course partakers had an opportunity to grow in experience attending invited lectures given by dr. Czart’s former students, like Bartosz Berliński, co-founders of MaxRoy.com or as Search Engine Marketing specialist Roman Rozenberger, who is also one of the leaders of the 3Art.Marketing project. The 3Art.Marketing project born from the participation in the GOMC. A mission of this project is to promote freedom of online communication technologies in marketing and in general at work and education. Dr. Wojciech’s had also an opportunity to visit Google Poland, get practice in cooperation with the Lech Poznań professional football club and supporting, within Google Ad Grants, the Children’s Hospice in Lublin. Professors interested in Erasmus/Exchange program or students willing to enroll in dr. Czart’s IM classes, Professors interested in Erasmus/Exchange programme are asked to contact.